Academics | La Unidad Latina, Lambda Upsilon Lambda Fraternity, Inc.
We believe academic excellence is foundationally important for the advancement of our community. Meeting and exceeding GPA requirements can have a lasting impact when competing for career opportunities, applying to leading graduate schools, or when being considered for merit-based fellowships. La Unidad Latina’s 4.0 Plan creates individualized academic plans for our Hermanos in order to encourage scheduled study hours, track academic performance and leverage on campus resources. 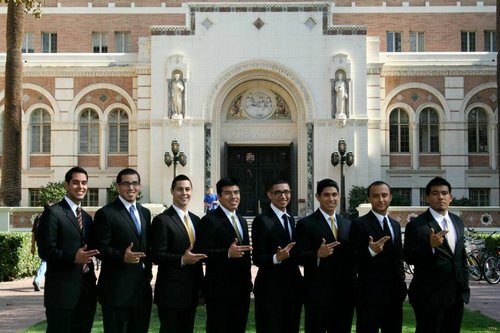 The goal of the program is securing a 4.0 GPA, an ambitious target that helps set our Hermanos up for success. La Unidad Latina’s top students are recognized as Lambda Scholars. To qualify for the quarterly Lambda Scholar designation, a Hermano must attain a quarterly GPA of 3.50 or higher. In addition to being recognized by our National Leadership, this cohort of Hermanos will receive access to exclusive networking opportunities, introductions to leading internship programs, and discounts in membership and convention fees.